Mr. Danford received his undergraduate degree in accounting in 1982 from California State University, Dominguez Hills. After working in various accounting capacities, including acting as the controller for various financially distressed companies in Chapter 11, Mr. Danford became a certified public accountant in Illinois in 1995. In January 2001, Mr. Danford received his Juris Doctor from John Marshall Law School in Chicago, Illinois. This was followed by the receipt of his Master of Laws in taxation in June 2001 with two Certificates of Course Specialization, one in employee benefits and the other in estate planning. Mr. Danford is a member of the Colorado Bar Association and is a frequent provider of pro bono services with Metro Volunteer Lawyers. Do not hire this attorney totally incompetent,did not perform work he was hired for.A lot of promises no results. 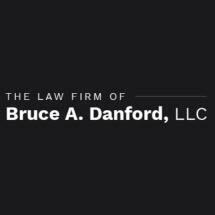 Mr. Danford was thoroughly knowledgeable regarding my estate planning including the various consequences of and reasons for different possible choices. That was most reassuring and very helpful. He was very efficient, but always listened carefully and understood a wide range of concerns. It was easy to talk with him. His responses were always clear, thoughtful, broad-minded and easily understandable to a lay person. I sincerely appreciated the time and help.